"After I graduated from college, I couldn’t find work, and a friend of mine mentioned a group home for at-risk teenagers that was hiring," says writer-director Destin Daniel Cretton. "It was by far, one of the scariest experiences I’ve ever had – at first. ... But after a month or so, I fell in love with it." It was also this experience — one that lasted more than two years — that inspired Cretton to write and direct Short Term 12, a raw and poignant story about troubled teens at a foster care facility that is told through the eyes of Grace (Brie Larson), a twenty-something group home supervisor. She navigates the volatile waters of work and her own challenges alongside co-worker and long-time boyfriend Mason (John Gallagher, Jr.). Short Term 12 erases the line between cared for and caretaker. The thrust of the film reveals how group home caretakers often rely on the people they care for as much as these troubled teens eventually rely on them. And it is in learning this, along with the personal challenges these at-risk teens are trying to overcome, that the film finds its emotional center between its younger characters and their temporary charges. Three resident standouts include: Marcus (Keith Stanfield), who is less than a week from turning 18 when he will be released into a world he isn't ready to face; Sammy (Alex Calloway), a much younger boy who spends most of his time trying to escape in a desperate attempt to earn affection and attention; and the semi-isolated newcomer Jayden (Kaitlyn Dever), who is reminded on day one that residents must keep their doors open in an effort to prevent suicide attempts. In every case, caretakers have cause to be concerned. Marcus may not have physical scars from years of abuse but he still carries emotional scars. Sammy seems to become increasingly withdrawn after his counselors take away his doll collection (dolls that once belonged to his sister). And Jayden unexpectedly erupts as her emotions boil over in order to prevent a dark secret from coming to light. Cretton deals with all of this deep subject matter in an exceptionally gentle, respectful and casual manner. In fact, it's his tender tone, along with the film's ability to run the emotional gauntlet of mildly humorous to heartfelt and tense, that makes it unforgettable. He does a fine job capturing the dividing line between caretakers who live with these kids and the counselors who treat them. And, at the same time, reveals that the line between the caretakers and their charges might not exist. 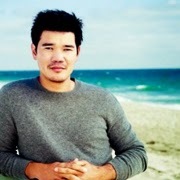 A couple more graphs about Destin Daniel Cretton. Short Term 12 was originally written as a 20-minute short for his thesis project for his master's degree in film and new media from San Diego State University. It was based on Cretton's experiences at the home, a story that went on to win the Jury Prize at Sundance in 2009. "I was kind of a novice filmmaker, and somebody told me that if you were going to Sundance, you better have a feature script ready," Cretton said. "So I wrote one." The full-length script eventually found its way to the Academy of Motion Picture Arts and Sciences, where it was one of five in 2010 to win the Nicholl Fellowship. Although the short and feature each had the same name, both were different with the short featuring a male lead character. Short Term 12 By Destin Daniel Cretton Opens 8.2 On The Liquid Hip Richter Scale. While not technically perfect, Short Term 12 is one of the most emotionally charged independent films of the year. None of the actors miss a beat in their portrayal of complex and challenging characters in a world that Cretton was uniquely able to bring lovingly to life. It's truly timeless. You can find Short Term 12 on Amazon. The film is also available for download on iTunes. For a short time, it was made Movie of the Week on iTunes with a special 99-cent rental incentive. Conversely, you can order Short Term 12 on Blu-ray from Barnes & Noble. It's a stellar example of what great storytelling and independent filmmaking can do.